Pirouette Cacahouète's huts are full of good points ! Made in France with recycled and recycable materials, from a corrugated and resistant cardboard ! They are all colourful, fashionable, and creative. It's time to be imaginative, creative and have fun ! Huts There is 1 product. Pirouette Cacahouète introduces "my Cacabane" ! 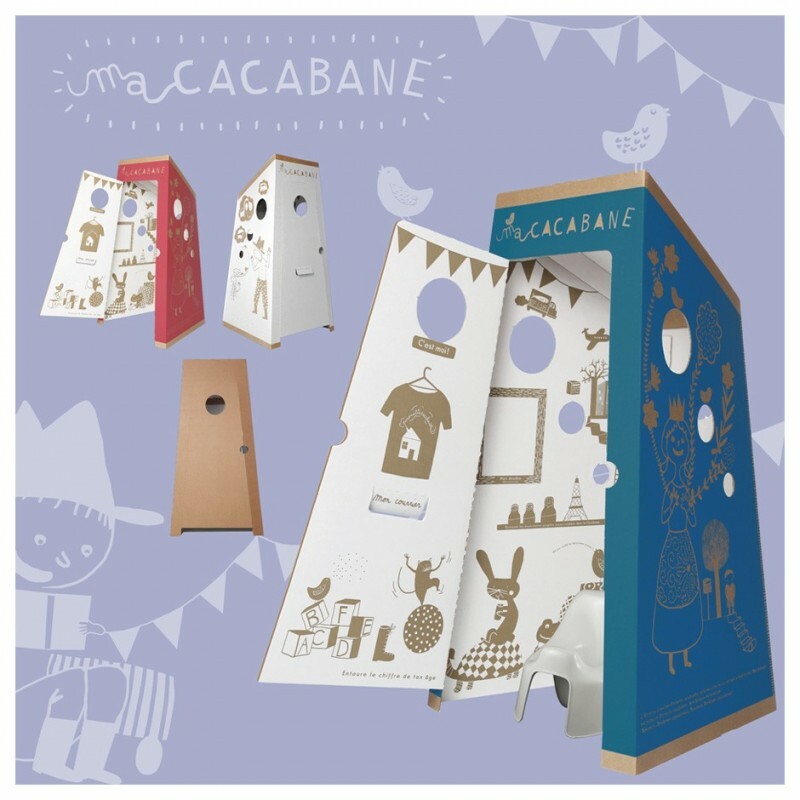 By creating this intimate and playful space around the potty, "my Cacabane" makes toilet training easier. Available in four different colours.